From the Pokémon Center, exit Route 5 to the south and continue south through Paniola Ranch. You'll need to defeat another trainer here, if you haven't already. You can pick up a Heal Ball on the right side of the route. Continue south until you reach the Sudowoodo blockade. Now that you have Waterium Z, you'll be able to scare off the Sudowoodo forming a blockade. The kid next to them will give you a Mystic Water. Head south onto Route 6. There's a Super Potion on the left side of the route and a trainer on the right. There's a breeder you can battle further south-left and if you go through the tall grass behind him there's an entrance into Paniola Town leading to TM88 - Sleep Talk. Continue south for a cutscene that introduces you to Hapu and pits you against another Team Skull Grunt. 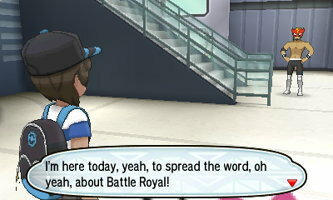 After winning, head right to Royal Avenue, home of the Battle Royal Dome. Go ahead and heal up at the Pokemon Center if you need it. If it's nighttime, check out the north left corner of the central plaza to get another Zygarde Cell. 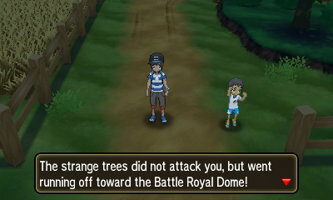 Head north to the Battle Royal Dome and you'll see a cutscene where Gladion enters the dome. Head left to find an item ball containing an Ultra Ball. Head back right and enter the dome. Head towards the counter and the not-so-mysterious Masked Royal will teach you about the Battle Royal and invite you to participate in one. 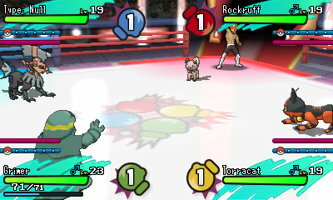 Simply knock out any of the other Pokémon and you'll be the victor. 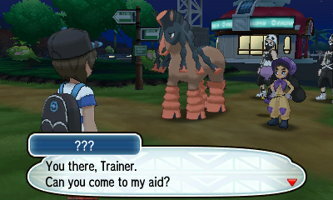 Captain Kiawe will then introduce himself and suggest that you complete his trial. Exit the dome and head right. You can check out the Thrifty Megamart where you can get half price items if you'd like. Otherwise, head right onto Route 7. 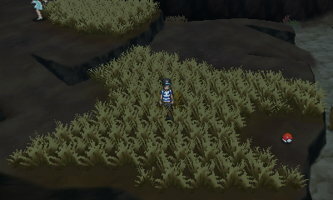 You can head right onto the beach and surf all the way to the top of the route and pick up a Max Repel. You'll also find a Zygarde Cell here and a hidden Net Ball on the south end of the beach. 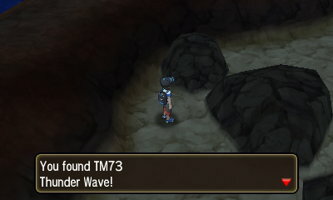 If you surf right from here you'll find two trainers and TM73 - Thunder Wave. From the center of the route, head left towards the volcano. Continue left and pick up the Hyper Potion. Defeat the trainer further along the route and head north through the cave entrance. Speak to the woman on the right side of the gate to heal your Pokemon. Continue forward through the gate to the Totem's Den. Speak with Captain Kiawe to begin his trial. He'll show you two different dances with Alolan Marowak and ask you about the difference between them. 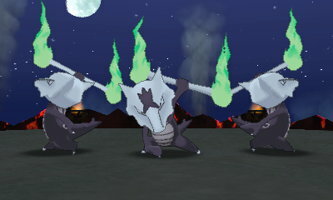 The first answer is "The Middle Marowak" and you'll need to defeat a Lv. 18 Marowak after answering. The answer to the second dance is "The Hiker", and you'll need to battle him. He has a Lv. 19 Magmar. You'll then move on to the third and final dance: this time, all four answers are correct ("The Totem Pokemon", "The black Pokemon", "The new Pokemon", or "The suspicious Pokemon"). Answer to battle the Totem Pokémon. You'll be up against a Lv. 22 Totem Salazzle. It will summon ally Salandit to fight alongside it. This battle is pretty challenging, but if you've got a good Water or Psychic Pokemon - such as Slowpoke - you shouldn't have too much trouble. After the battle, you'll get a Firium Z and 10 Quick Balls. 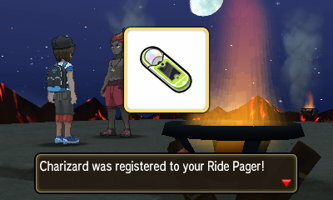 You'll also have Charizard registered to your Ride Pager so you can now fly to familiar areas. You've now passed the trial, exit the Totem Den to the south at your leisure.